Hale Hamilton have over 50 years of experience in the design, manufacture and sale of High Pressure, High Flow Control Valves and application-specific systems for both military and industrial operations. Many of their products and systems are approved for NATO and medical oxygen use. 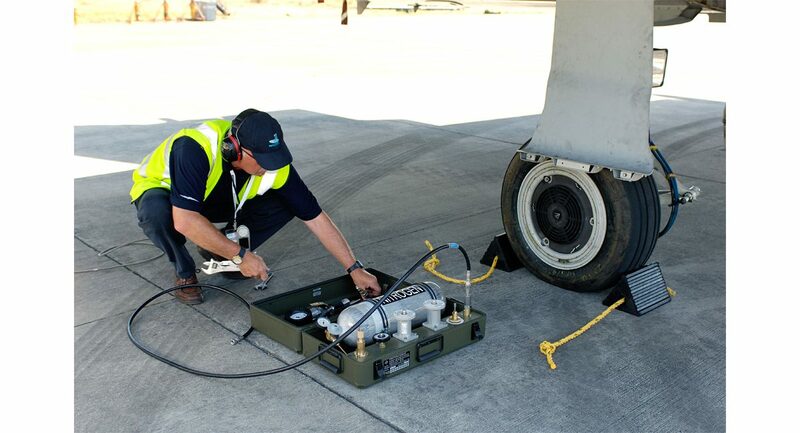 Nitrogen has many uses in industry, both in commercial or military applications, and dry nitrogen is specifically used in the servicing of tyres on braked aircraft wheels. This greatly reduces the possibility of a brake fire being fed by a tyre filled with air and therefore airlines, air corps & air forces find it much easier to use nitrogen on all tyres instead of specifying non braked tires. Aircraft tyres come in many different sizes, often with their own connectors. 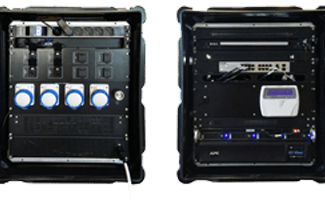 Hale Hamilton wanted to simplify the maintenance process and produce a nitrogen recharging system that contained all of the different parts needed, but remained portable and secure for use on air fields. 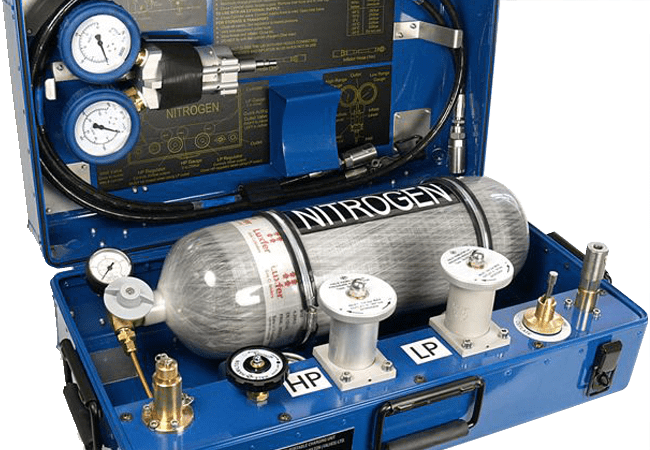 Provision within a container is needed to house a nitrogen canister, a range of connector valves and a 5 meter hose. All small removable parts were to be secured with chains to prevent foreign object damage (FOD). 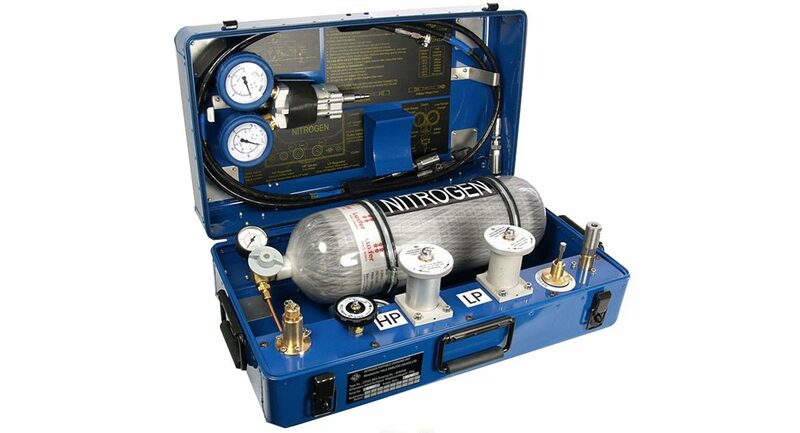 The units also need to fulfil TPED (Transportable Pressure Equipment Directive). The initial end-customer for this application was the RAF so the correct case selection and construction is essential and while they are the main focus for supply, variants are in-service in Singapore, Malaysia and Australia. 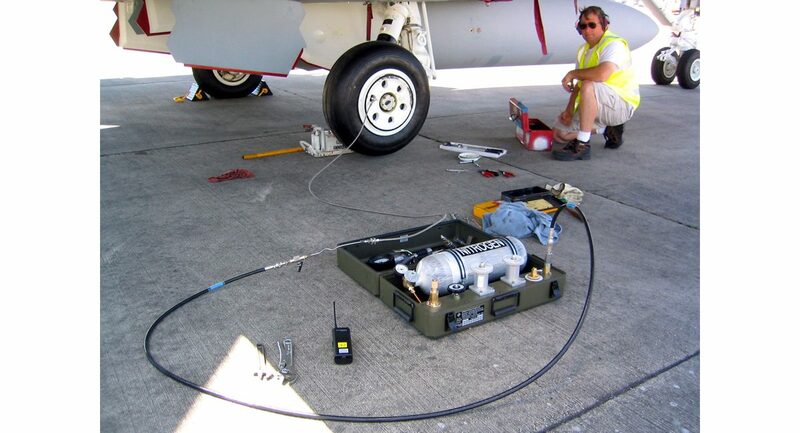 Nitrogen PCUs to civilian specification are in-service in Europe, the Middle East and Far East supporting Business jets, Civilian airliners and Commercial helicopter operations. Hale Hamilton’s envisioned a lightweight, portable and robust ‘briefcase’ style PCU. 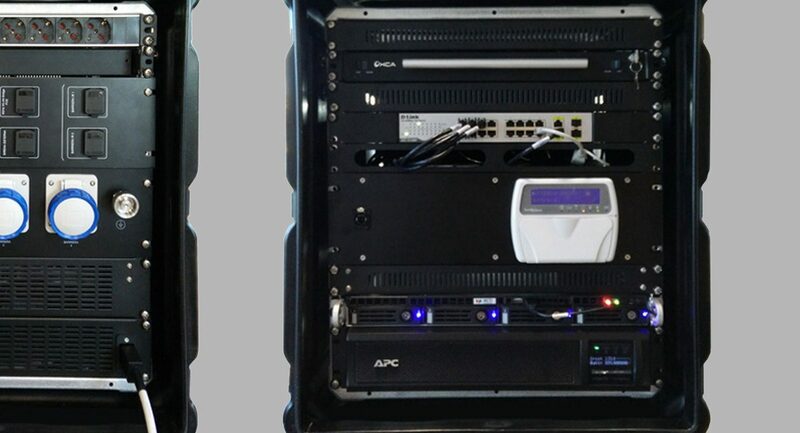 After further investigation it became apparent CP Cases AluCurve was was ideal for their application. Every aspect of the AluCurve case has been given very careful consideration and recessed catches & handles, indents for stacking and radius edges are some of the key features. The case interior needs carefully constructed supports, partitions and fixings. The internal also needs to be multi layered due to the height variation of the valves. 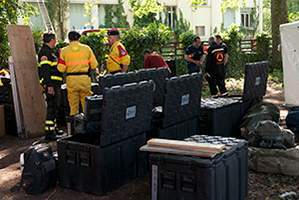 Despite the different depths of equipment, the case has to lie flat on the ground during use and therefore needs to be cut 50/50 along the length. The case may need to endure being dragged along the ground as engineers move between tyres. To reduce the damage to the case, stacking glide points are fitted to the outside corners and stainless steel edge buffers help to maintain rigidity. 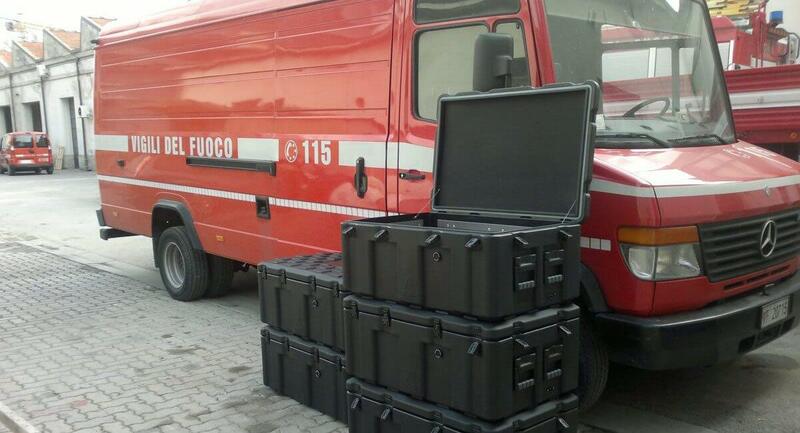 The lid of the case is also designed to be functional, storing the 5 metre hose, gauges and operating instructions. Made from 2mm flat stock aluminium, AluCurve is constructed without an edge corner weld to prevent seam splitting the tough pre-pressed corners add extra strength and exceptional resistance to drop damage. The case interior needs carefully constructed supports, partitions and fixings. The internal also needs to be multi layered due to the height variation of the valves.